Author’s Note: I backed Half-Genie Hero for $60. I also waited for the release of my Wii U version backer code, which was later than December 12th. Crowdfunding is a tricky proposition. While it’s a heady delight to help bring a beloved game to life, the wait can be killer. Most especially if you backed a game on a dying Nintendo console, the Wii U. I won’t waste a lot of time bitching, but suffice to say that I didn’t get my backer code of Shantae Half-Genie Hero: Friends to the End until at least a weak after all the other consoles. While this did build up my anticipation, it also made my expectations balloon a bit out of control. I enjoyed the most recent DLC, Pirate Queen’s Quest, and even felt it was a bit better than the original Half-Genie Hero. So Friends to the End had a lot of expectations set against it from the get go. The question is, did Bolo, Rotty and Sky manage to surmount them, or did this DLC disappoint? 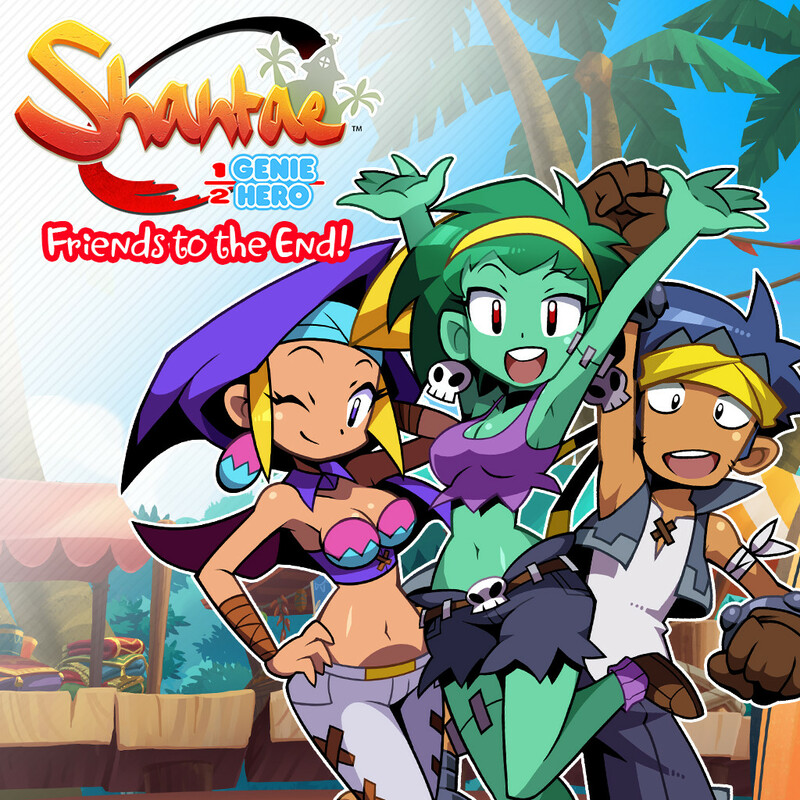 The basic premise of Friends to the End is that Shantae has gone full Dark Genie, and the trio of besties literally jump inside her noggin to save her. 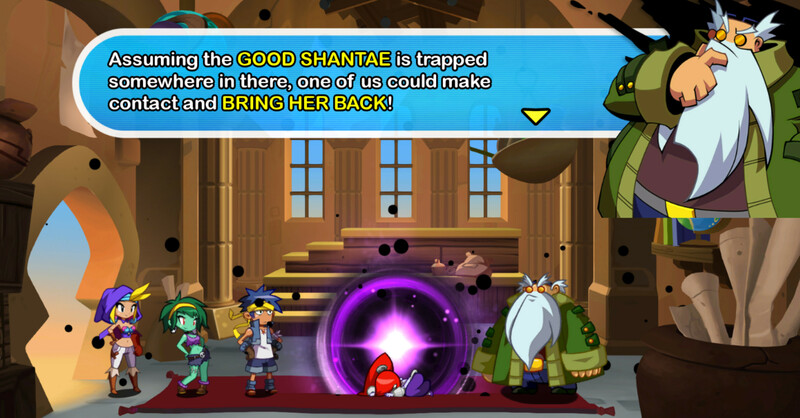 Inside, they find a Nightmare Realm made up of Shantae’s memories. This translates to a level design where you’re playing through the same stages, but with minor tweaks. One of my primary complaints about Half-Genie Hero were the fetch quests, but both Pirate Queen’s Quest and Friends to the End fixed this by streamlining the game into a much more linear experience. While Risky had use of a HUB area and could sail around, Friends to the End has no HUB area, just a series of levels that must be beaten in a set order. Though you can pause and teleport to previously beaten stages, this serves little purpose other than collecting the hidden Dream Squids, which only serve to unlock a different game ending. The upside of this design is that it allows the game to totally focus on the new gameplay mechanics, switching between Bolo, Rotty and Sky to solve puzzles and defeat enemies. The Nightmare Realm has a distinctive color palette. In the game’s favor is that they actually have an introductory stage that teaches the mechanics for each character. Each of them has a unique ability. 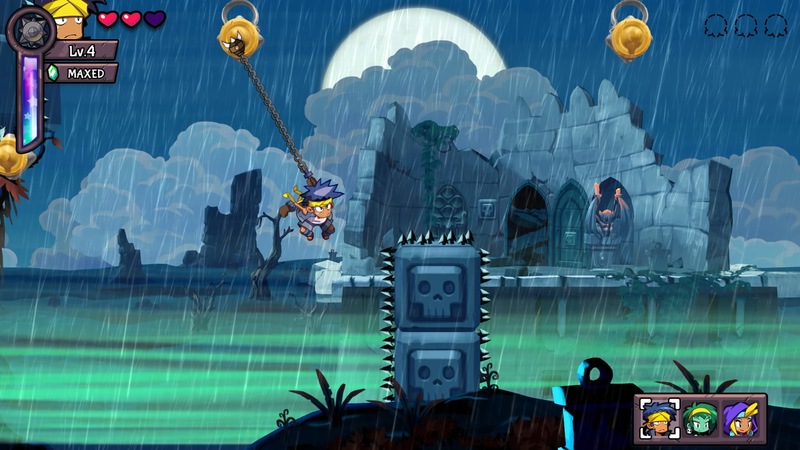 Bolo can grapple (though with wonky swinging physics), Rotty can toss her head and reappear where it lands and Sky can make temporary platforms and hover. I enjoyed how each of them had a specific purpose and opened up different exploration options. They are all important, and only by mixing and matching can you successfully navigate levels. 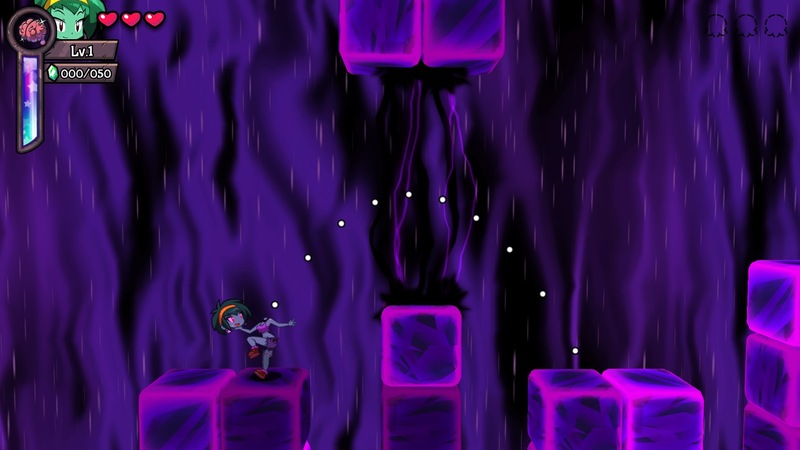 Often I would need to create a platform with Sky and then switch to another character to progress, for example. As far as combat goes, Sky is weakest with the best range, Bolo is totally in the middle and Rotty is a undead powerhouse with the worst range. I often played Sky so I could hide and toss birds from a safe distance, but when I wanted to crush something, I would go with Bolo or Rotty. They each seemingly inflict a set amount of damage, and even leveling them up by gathering gems doesn’t seem to affect that. I rarely used their specials (other than Rotty’s ability to devour brains to heal my entire party). Since all three share a life meter, though not a magic meter, it behooves you to be tactical about using your limited special talents. Bolo’s special of tossing bouncing projectiles and Sky using a bird shield seemed far less important than healing my entire party, especially given how few and far between magic vials were. Additionally, unlike both Shantae and Risky, the heroes in Friends to the End cannot stockpile any healing items nor can they upgrade their base stats. So my zombie waifu proved integral to the experience. Who could have guessed a brain eating zombie would be the healer? 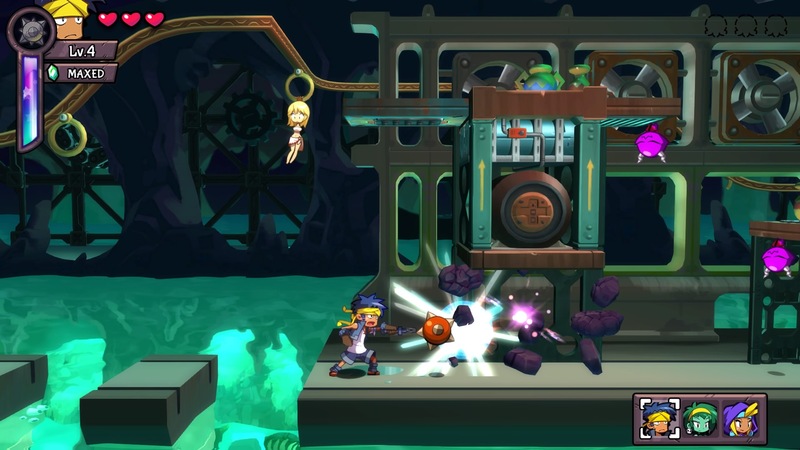 As always, WayForward brings their A game with the fantastic art and musical design. While Half-Genie Hero has always had lush art, it’s a real joy to switch between these characters and see how they animate differently. Bolo, Rotty and Sky all look and play entirely different, and have personality to spare. From Rotty’s catty attitude to Sky’s determined leadership to Bolo’s lamebrained loyalty, they all come across as individuals. Musically, the game is still a delight, though much like Pirate Queen’s Quest features no new songs. While I can understand the financial reason not to create new songs for each DLC, I wish that each member of the trio had a musical theme that played while you were controlling them, to keep things fresh and help distinguish this DLC episode from the others. While the game is fun, and WayForward does a good job of mixing stage hazards up to keep things fresh, I can’t help but feel a bit disappointed with Friends to the End. This is in large part due to the fact that we’re still playing essentially the same levels with the same bosses, despite the new plot and humorous interplay of banter between the trio. Maybe I was spoiled by Shovel Knight, where each DLC is distinct and featured significant new content, but I can’t help but want more. 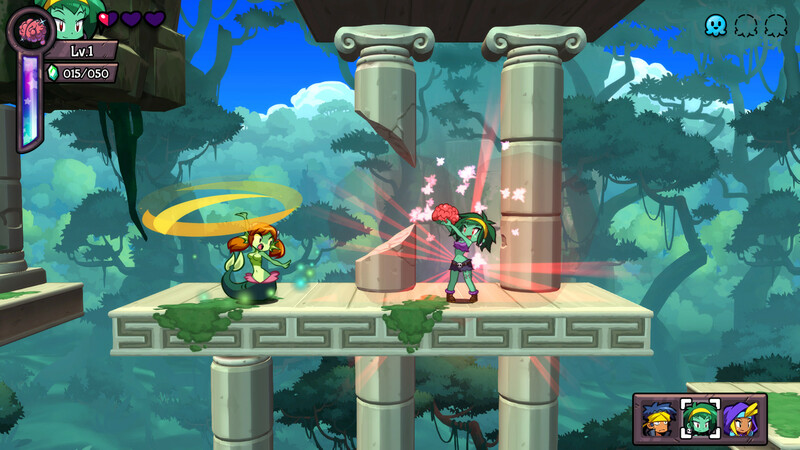 While Friends to the End is enjoyable, it also feels like the most barren of the Shantae DLC. I was able to beat the entire episode in a little over 2 hours, and feel little desire to get 100%. If getting all the Dream Squids unlocked a true final boss or new area, similar to a basic Metroidvania, I would have been much more likely to platinum the game, instead I ended up with only 79%. I appreciate that this is the least expensive of the DLC, sitting pretty at $7.99, but I still wish it was a lot meatier. Hell, it doesn’t even have a truly new final boss, as the one here is a reskin of the foe Risky faced in Pirate Queen’s Quest. The only real new stages are the intro stage and final stage, the latter which feels more like a series of infuriating challenge rooms than a cohesive new area. If you’re a fan of Shantae and have to own all the DLC, then by all means pick Friends to the End up. For everybody else, wait til it’s on sale. 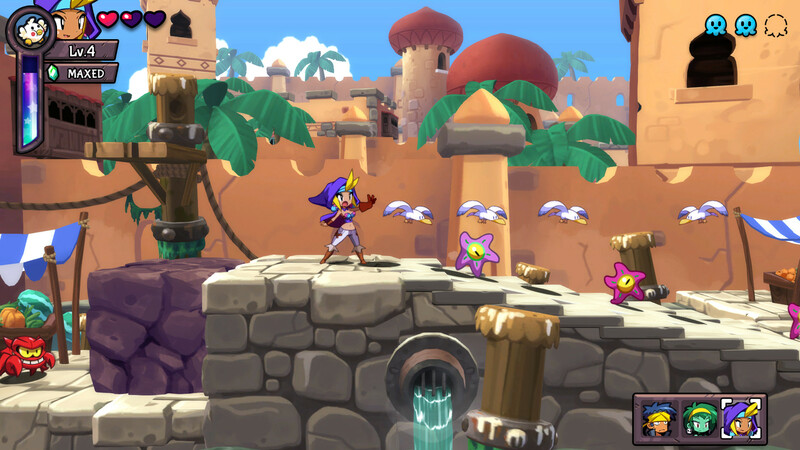 Here’s hoping the next Shantae game learns more from Pirate’s Curse and less from Risky’s Revenge.